Rick Dz is the Expert in Children's Magic in Philadelphia PA. Looking for someone who can add excitement, laughs, and a ton of fun to your children’s event in Philadelphia PA? Look no further! I'm Rick Dz, Philadelphia Magician! Over the years, I have become an expert children's entertainer for school events, libraries, club meetings, museums, kid's organizations, and am a master pro at creating successful children's birthday parties in Philadelphia and the Delaware Valley. I absolutely love working with kids. I’ve created and refined an entertaining magic show that is designed to keep the kids engaged and entertained to the maximum degree. My show features side-splitting comedy, astonishing levitations, baffling vanishes, and so much more! Since my style of magic is highly interactive (as well as 100% safe and family friendly), many of the kids will get a chance to participate in the show by assisting me with the magic. My past Philly magic show clients will be happy to tell you that I take care of everything from the moment I arrive to the moment I leave, so that your event goes as smoothly and as stress-free as possible. It is my goal to make your event wildly successful for both you and your guests. If you have any questions or concerns about myself or my show, please do not hesitate to give me call. I am so confident that my magic show will add more value to your event than any other Philadelphia children's magician that I stand by a 100% money back guarantee if your guests do not absolutely love the magic show. I would love to be your children's magician in Philadelphia at your next kids magic party. 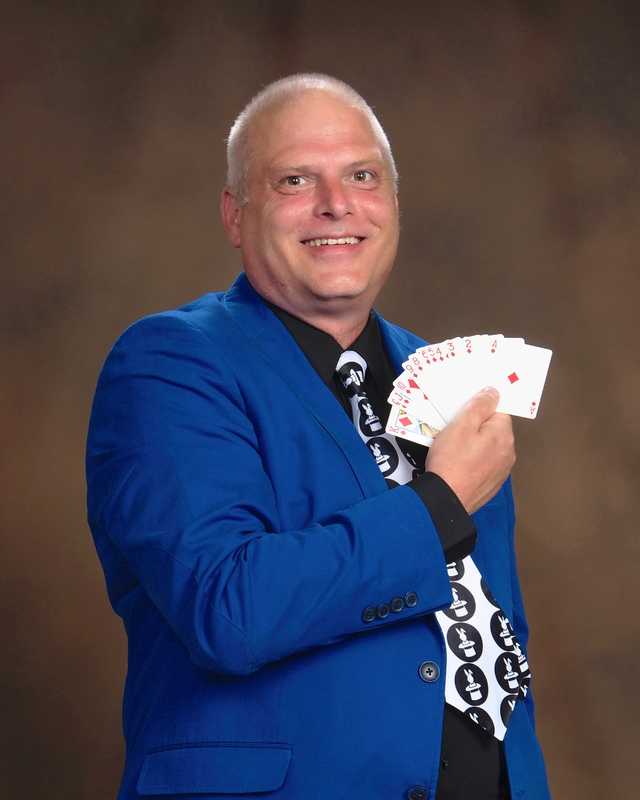 Philadelphia's #1 expert kids magician"
Whether it's a birthday child, a grandmom, a special volunteer, or anyone else you'd like to celebrate, Rick will ensure that an effect is incorporated into the magic show which makes them the star of the show. They will have the opportunity to be on stage and make the magic happen. This is a wonderful photo opportunity and will be remembered forever! There's no question - if you want magical entertainment in Philadelphia PA that's fun for the whole family, DZ Magic is your solution. Audiences in the "City of Brotherly Love" are captivated and thrilled by the magic! Your Phildelphia children's magician has worked for years to assemble an array of colorful, VISUAL magic! The presentation is direct and clear -- easy for young kids to understand, and still engaging to any teens and adults in the audience! Kids won't stop laughing for a second during the magic show. It’s chock full of family friendly, 100% clean comedy that's a hit with all ages! Planning a magical birthday party in Philadelphia PA? 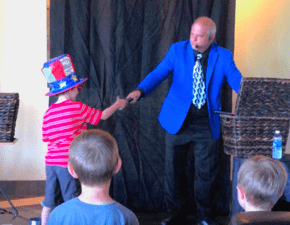 Book a birthday party magic show from Philadelphia's Expert Kids Magician -- Rick DZ Magic! You child's birthday party will be extra special with a ton of incredible magic, side splitting silliness and more fun than you can poke a magic wand at. You'll be a superstar parent because your child will be the star of a unique show. All the other guests will also have an incredible time and the magic show will leave a lasting and empowering impression. Rick wants your party to be one to be remembered. 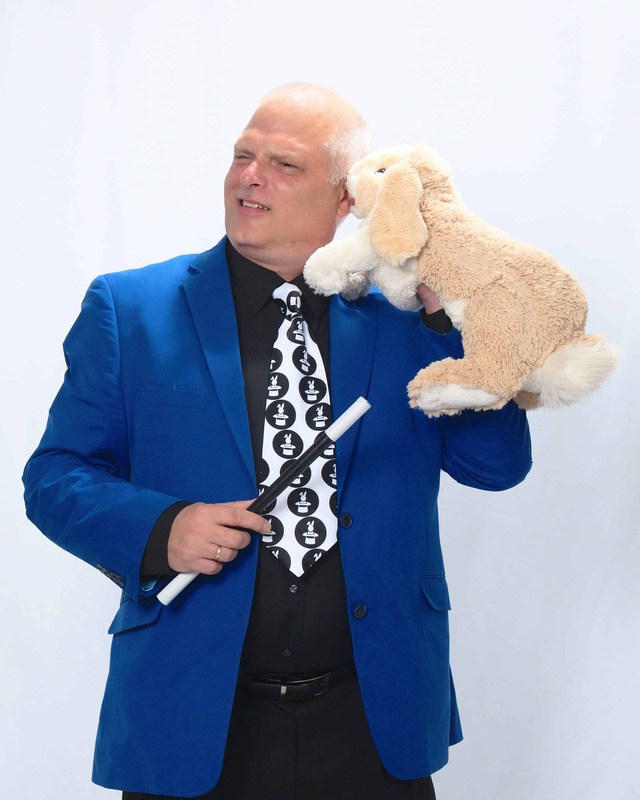 He uses magic, comedy, and lots of audience participation to get the crowd involved with the show and keep everyone entertained throughout the performance! This show is custom themed for having fun at a birthday party. Each show is clean and family-friendly, packed full of fun, comedy, audience interaction, and of course amazing magic! There are several different packages available that you can choose from, and we can customize further from there. The fun and magic is still the same in each performance you just get to choose how much! Rick has found that these are some of the most popular magic effects performed by magician's in Philadelphia. Audiences love these. If you have a particular favorite, be sure to ask and Rick will be sure to include it in your show.